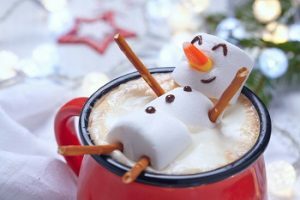 Along with the joy, cheer and hot chocolate holiday time brings, this time of year also raises a whole host of issues for employers who must grapple with difficult questions concerning holiday decorations, time off, employee stress and gift giving at work. When it comes to decorating the workplace for the holidays, keep the focus off of Christmas and celebrate the holidays and the spirit of the season. An employer should avoid overly religious symbols, such as nativity scenes, and instead celebrate winter with decorations of icicles, snowflakes and sleds. An employer may also choose to celebrate different religious holidays such as Chanukah and Kwanzaa with their religious symbols, which will demonstrate that the employer celebrates diversity and tolerance. Additionally, during holiday time, employees may seek to decorate their cubicles, work spaces or personal offices with religious imagery. An employer should be proactive and develop and implement a workplace office decorations policy providing firm guidelines for employees and ensuring employees of all faiths receive equal treatment. Doing so may help minimize the risk of a religious discrimination or harassment claim. Many employees may want to take time off to celebrate the holidays and spend time with their families. Further, an employer also may be obligated to provide leave or time off to employees as a reasonable accommodation so employees may attend religious services, worship and observe their religious holidays. However, an employer still needs to make sure that its business runs smoothly, and it is able to service clients and customers. Employers should note that while there is no federal law requiring an employer to provide holiday time off, paid or otherwise, an employer may wish to implement a holiday policy designating certain days that the business will be closed to celebrate the holidays. Another alternative may be a floating holiday policy permitting employees to pick and choose the days the employee will take off. This is a good option as this will stagger absences if employees are of different faiths. A third option is to provide employees with paid time off that they may take to observe the holidays. In order to ensure holiday coverage, an employer also may want to consider providing additional benefits or incentives to employees who are willing to work on the holidays. Also, during the holiday season, allowing employees to work remotely or work a more flexible schedule will provide your workforce with greater flexibility. A pool of part-time workers or floaters during the holiday season may also help with staffing needs. An employer needs to be particularly careful about alcohol, drinking and other substance abuse during the holiday season. Employees who choose to drink at holiday parties or during holiday lunches could create significant liability issues for employers. If an employee is drinking during working hours or at an employer-sponsored holiday party and is involved in a subsequent drunk driving accident, injuring himself, coworkers or third parties, the employer could be liable. Supervisors should be especially vigilant and make sure to monitor employee alcohol intake, restrict drinks and carefully observe employee behavior. An employer should also be vigilant during the holiday season and closely monitor employees who may turn to drugs and alcohol as a way to deal with depression, loneliness or other mental health issues. While the idea of providing employees with gifts or exchanging gifts with co-workers, clients, and third parties may be a way to demonstrate appreciation and good will, an employer must set forth clear parameters and guidelines regarding who employees may give gifts to and potentially how much they should cost. First off, gift giving should be entirely voluntary for religious, personal and/or financial reasons. Along those lines, it may be helpful to set a nominal limit ($15 to $20) for any gifts that may be given or received. Prohibiting gifts between subordinates and managers is also a good idea as this practice may lead to claims of favoritism and unequal treatment or be interpreted as potentially harassing behavior. Further, employees should be cautioned against giving gifts that are overly expensive or too personal in nature (i.e., jewelry, perfume and lingerie) and stick with non-personal items (i.e., gift cards, picture frames, books). An employer should also warn employees against giving gifts of a religious or cultural nature as this may make others feel uncomfortable. Additionally, gifts containing alcohol may send the wrong message. Group gifts such as chocolates, a cookie tin, or a fruit tray may be a better option the entire workplace can enjoy. When determining if a specific gift is appropriate, the employer should take the work environment as a whole into account. Lastly, an employer should be particularly careful when giving gifts to employees since holiday gifts, bonuses and awards have important tax implications and are considered additional W-2 wages, subject to payroll and income taxes. However, certain non-cash gifts to employees of a de minimis value (i.e., turkeys, gift baskets, wine and entertainment tickets) may be treated as tax-free and do not need to be reported as taxable income. 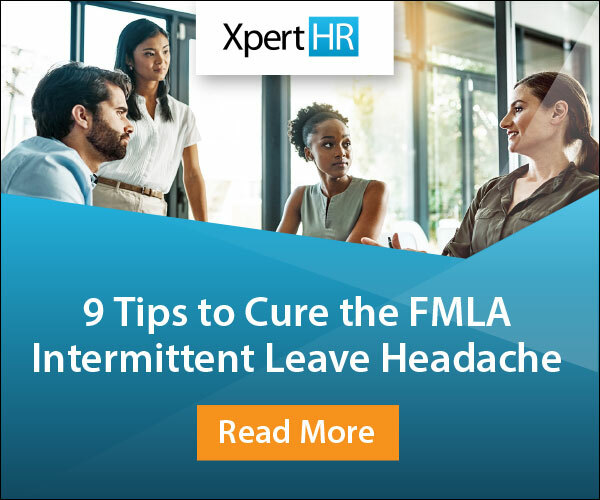 As the year comes to a close, it is critical to keep employees productive and engaged and ensure that workplace efficiency does not suffer, especially if there is a scramble to finish certain work by year end. Employers and supervisors should be keenly aware of employee stress levels and provide employees with the necessary support and resources they may need to get the job done and balance personal and professional obligations. • Promoting a healthy workplace and discouraging sick employees from coming to work. How does your organization handle the holidays? Share your thoughts by leaving a comment below.